Though we work with technology companies large and small, startups will always have a special place in our heart. Last year we wrote a guide for What Tech Startups Absolutely Must Know About B2B Marketing. In addition to needing a solid content marketing plan, startups also require a host of tools to get the job done. Read on for Medium’s top free resources for startups. When you’re starting a company, there often isn’t a lot of money to make your business grow. Especially at the early stage, free advice, tools, and resources matter more than ever. We all joke about subsisting off of ramen and coffee, but it’s only funny because it’s true. Whether you’re wondering how to build a social media following, attract press attention, build a great mobile app, or find non-cheesy stock photos for your investor deck, you’ll find a bunch of useful tools on this list of free (and cheap) stuff for startups. Enjoy! It feels like there are a hundred different apps built to help us create quote images for social media. In the end, all of them end up feeling like an extra step in the already-tedious social media management process. Enter: Pablo, a simple quote image creator from the team at Buffer, a company built to help drive traffic, increase fan engagement, and save time on social media. If you already use Buffer, Pablo is a quote image tool you can seamlessly integrate into your social media process. And if you don’t already use Buffer…well, you should. Start now! We’re just going to state the obvious: getting press coverage for your startup or product launch can be a huge pain in the donkey. Luckily, you’ll find a list of tech-related media sites — sortable by number of Twitter followers and Alexa rank — to help you find the media outlets that can best tell your story. This tool doesn’t do all the work for you (you still have to find specific journalist contacts, in most cases), but it sure makes it easier to come up with your initial outreach list. 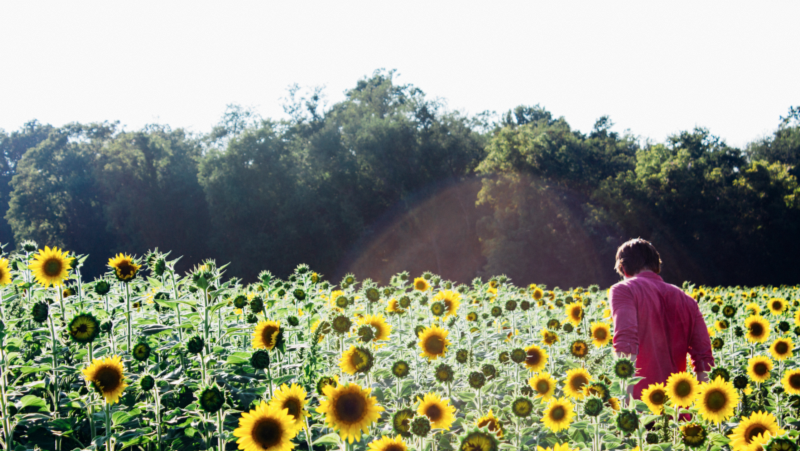 Where do you find great photos that don’t cost a fortune (and you can actually legally use)? There are now a handful of great free stock photo sites online, and StockSnap is one of them. If you’re looking for images that capture real life and don’t look super cheesy, you’ll find something great here. Other free photo sites to check out: Stock Up, Tookapic, Pexels 2.0, and Unsplash. Batch is a suite of engagement and communication tools for mobile developers. 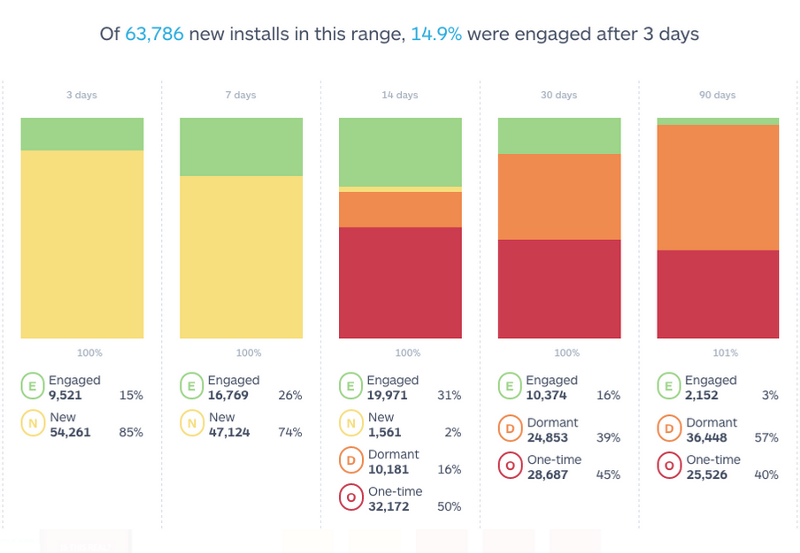 It helps you optimize push notifications, target users more intelligently, and analyze data meaningfully. This is a fancy way of saying Batch will help you and your company be smarter mobile developers, designers, and marketers. There are paid versions of the tool, but the basic version is completely free and will get you well on your way to building a great mobile product. 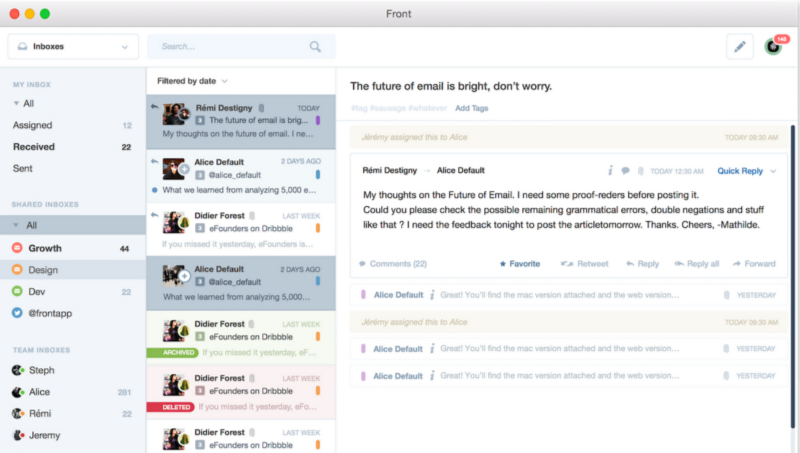 If Gmail and Slack had a baby, Front would be it. This email app makes it easy to: automate actions, set reminders, send canned responses, follow particular conversations, and more. The coolest feature of this product is arguably the shared inboxes, which the company hopes will promote radical transparency within organizations. Hey — if it helps people spend less time going back and forth on a long email chain, we think it’s a tool worth trying! Similar to Batch, there are paid tiers; but the whole tool is free for the first five users sharing one team inbox. 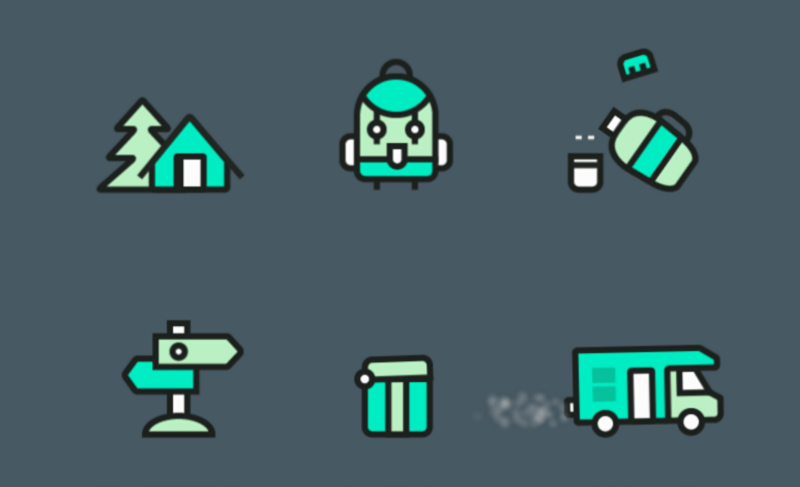 On Freebbble, you’ll find 1000+ design freebies made by Dribbble users. Whatever your startup needs, you can probably find it here, including: fonts, icon sets, mobile templates, and wallpapers. All of the designs are tagged with a license so you know when and how you can use something. As the note on the site says, “Dribbble users are nice. If the license is unknown, it is usually because they forgot to mention it explicitly; not because they were being stingy. Ask nicely and they will probably allow you to use it.” Now it’s our turn to start asking you nicely to use Freebbble. You’ll love it (and also save a lot on design costs!). 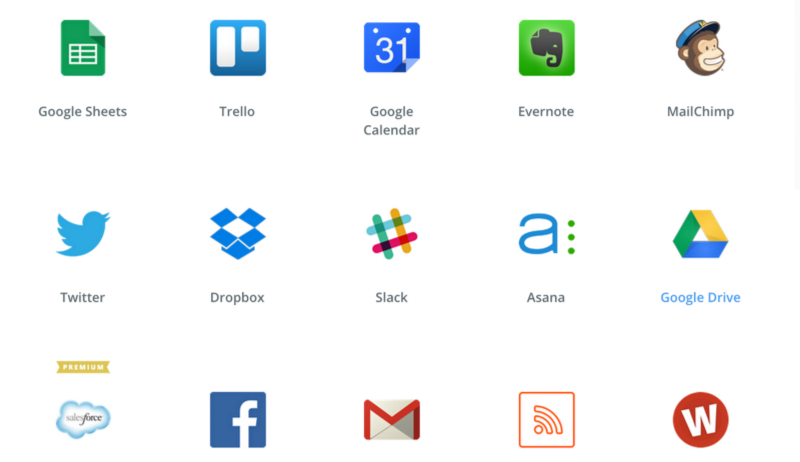 Zapier allows just about anyone (from marketing and support to operations and legal) connect the web apps they use to run their businesses to one another — without ever needing to write code. For example, you can share new Tweets from a Twitter list in Slack. You can also connect Evernote and Dropbox, and have all of your notes automatically update to the latter. Those who use Zapier swear by it. Just be prepared — once you start using Zapier, you won’t go back. Intercom.io describes itself as “a fundamentally new way to communicate with customers.” And they weren’t lying. Broadly, this suite of integrated products allows multiple teams — marketing, product, sales, support — to effectively target and communicate with the company’s customers. In turn, this makes the relationship with a customer more seamless and personal. You can observe what your customers do for free, but if you want to start conversations, you’ll need to pay some cash money. Starting at only $49 per package, we think this suite of tools is a steal! Try it today, and watch your customers start to love you. Find out what tech startups absolutely must know about B2B marketing.